Mrs the representative of the Unesco Department for Social and Human Sciences. Quite a lot of NGOs also worked with children from 14 countries. IAA more particularly worked with the children of Morocco. The complete film (children works and professional artists), as shown in Tunis, can be seen through the link: https://youtu.be/Bajg8rMwIjE. A selection of the children drawings and the artists works was commented by the public. The acts of those days, and the photos are on line on the Unesco NGOs Liaison Committee website: www.ngo-unesco.net/fr. This film was shown again during the GA of the NGOs, in December 2018, at Unesco. 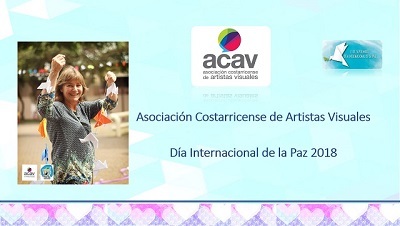 The National Committee of Costa Rica, celebrated the International Peace Day with the support of the Municipality of San José, Costa Rica, The group of artists PINTAL (Pintores al aire libre), and the Project Madonnari, Costa Rica, proposed a serial of activities in the Park of the Social Guarantees de San José. This place, which is a much frequented place is an excellent place to incite the people with discussions around the idea of Peace. Those activities of drawing, painting, and installations, realized in a Park, not only contribute to reinforce the impact of the public spaces in the town, but allow mecanisms of communication among the most efficient ones. The project was conceived under the title "Thousand Pigeons for Peace", made like Origami, and installed in the Park. The group Madonnari, Costa Rica, made a 3D Mural with chalk in another sector of the Park.Students from basic general education, high schools students, teachers and the general public participated. Ileana Cubero produced with 12 Students from INTERARTES, Atenas, a Mural with the theme of the International Peace Day 2018. The travelling exhibition was partially introduced to UN, Genova, within the framework of the Forum 'Objectif Science Avenir', from December 12 to December 15, 2017. The President of this international Forum asked the curator to speak to the participants, all high level scientists, at the opening and at the end of the Forum, Education to Peace near the young generations, through and by the IAA artists, and thanks to artistic expression, for the respect of cultures and of the differences was explained to the scientists who discovered another way of action for Peace different from the only scientist ethic. 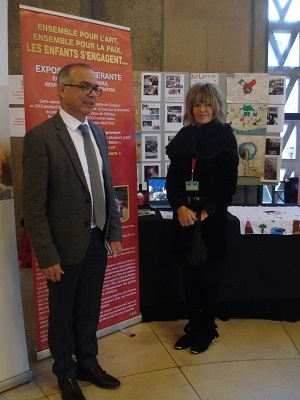 On December 2nd, 2017, the travelling exhibition 'Together for Art, Together for Peace' was invited - this is a premiere - by the President of the Association 'Morocco Contractors', Mrs Bouchra Bayed, for the celebration of the 10th anniversary of this Association at the Economical, Social and Environmental Council, Paris. This meeting dedicated to the creation of companies in Morocco was the opportunity to present somes drawings and photos made in Morocco, Vietnam, and France during the WAD, the International Peace Day, and the Education to sustainable development. During the whole day, films and WAD manifestations were presented in loop, and the IAA Secretary presented the WAD philosophy. Thanks to all those contacts with private companies, teachers, members of associations and bankers, a lot of proposals of partnerships were registred, able to increase the activities in Morocco and to build new bridges between France and Morocco. Foundation of Her Royal Highness Lalla Asmae, Rabat, Morocco. 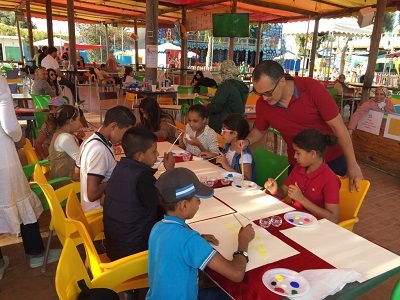 In June 2017, Mr. Adil Benzakour, President of the Foundation of Her Royal Highness Lalla Asmae, invited the artist Fatema Binet-Ouakka to organize, initiate and supervise the children and young deaf of the Foundation, at the end of the 2016/2017 school year. Her Royal Highness holds a tradition of giving encouragement and protection to the precarious population, so she is committed to the education of the population in a situation of disablitiy, to acquire real autonomy through vocational training. Fatema Binet Ouakka was introduced to Her Royal Highness in order to make His Foundation's children work on the theme 'Together for Art, Together for Peace', which has already been shared with children around the world as part of activities of AIAP, ONG Official Partner of Unesco. World Art Day 2017 was about making children, whatever their identity is, think about a current issue. And this, very often despite of the lack of knowledge of this issue, is the important thing to make them expand their imagination and discover the world around them as it is. The Culture of Peace, as advocated by Unesco's values, in relation to the turmoil and wars that are shaking the planet, became a priority for education and peace. The children themselves wished to join this thought about peace already, as undertaken in Morocco with other children. Her Royal Highness Princess Lalla Asmae expressed her approval for this artistic initiative during her official visit, and congratulated the two artists Fatema Binet Ouakka and Smahane Alaoui. She showed her admiration for the paintings and the artistic views that express their voices of creativity in color. All the children have shown solidarity and community in action that goes far beyond disability. On September 21th, 2017, the International Peace Day was celebrated in a park for children, the 'Crazy Park', in Casablanca. The Associations the 'New Oasis', chaired by Mrs. Aïcha Abou Hilal, and the Association 'Moving Painting', chaired by Mrs Fatema Binet Ouakka, Vice-President Mr. Rachid Benabdellah, worked together to lead drawing and painting workshops, with the collaboration of Mr. Ahmed Ek Bbakkali, a calligrapher artist. About 20 children, coming from unpriviledged families, could participate in these workshops, and were given a certificate of Participation to the International Peace Day at the end of the event. The running exhibition 'Children of the world draw for Peace', curated by Asilva Rogue, was presented in Villemur-on-Tarn, an historical French South West town, from May 11 to May 16 2017, in the Defense Tower. A puppet performance, animated by Charlie, from the Nansouk Company (http://cienansouk.com) around the theme of 'Enfantasia' the right to be different) was proposed in the same time of the exhibition. Find more pictures on large format through this link. From March 2nd to March 16th, 2017, the Municipality of Montauban welcomed the running exhibition 'Children of the World draw for Peace' which was organized with the collaboration of the Unesco Children Club. This show was inaugurated by the Deputy Lord Mayor Mr Alain Crivella, in charge of Culture, the Councillor Mrs Nicole Roussel, and Alain Mila, the President of the Association 'Sentinals of Peace'. And with the artist Asilva, curator and coordinator of this exhibition, Mrs Martine Pasquet, IAA Executive Secretary, and with the active participation of the Montauban Schools of Dance, Music, and Drawing. 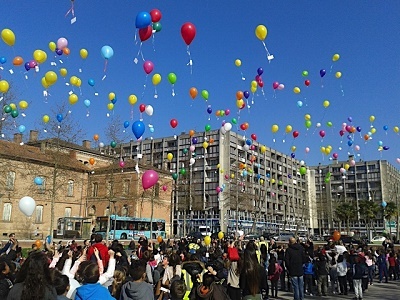 On March 15th, a balloons release with messages of Peace written by the children gathered about 400 kids from Montauban. When you know that Montauban was the field of terrorist attacks on March 15th, 2012, it is easy to understand the importance of this manifestation. A choir of 50 children of the School of Music sang 'Tout le bonheur du Monde' (All the happiness of the world). Then all the children sang and danced on the Esplanade des Fontaines with their day holiday centers accompanying adults, and the volunteers of 'The Sentinals of Peace'. Find the affiche, the invitation and more pictures on large format through this link. 6th International Forum of NGOs in Official Partnership with Unesco. From November 3rd to November 5th, 2016, was hold in Querétaro, Mexico, the 6th Unesco NGOs International Forum devoted to 'From Promotion to Building Peace with the Unesco NGOs'. This Forum gathered 50 International NGOs which prepared it. IAA was one of those participative NGOs. IAA Honorary President Rosa Maria Burillo participated to this Forum by intervening to present the Mexican National Committee Projects around Peace, and by participating to the round table which was organized on the topic: 'Art as a tool of dialogue'. She also organized with the other participative Latin American NCs a huge exhibition of 'Murals' and of children drawings in the Educational and Cultural Center Manuel Gomez Morin (http://gomezmorin.gob.mx). In this exhibition being open to everyone, groups of children from the Foundation Mexico, Pride and Tradition of Queretaro could think about their idea of the Peace and draw their feeling in the light and in the eyes of everybody. All the drawings were shown, and a visit was organized for the Unesco officials, the members of the Liaison Committee, and the participative persons. Quite a lot of the Mexican Committee members came to attend this Forum of Querétaro, as well as Rosemary Golcher, the President of the IAA Regional Committee of Latin America (Costa Rica), Claudia Adriazola, the Vice President (Chile), Albino Luna, the Secretary (Mexico) and Oscar Casquino, Member (Peru). This Forum gathered a total number of more of 800 persons, students groups from Mexican Universities wishing attend the debates. The synthesis of the debates and ideas which were proposed and discussed is available on the Unesco Liaison Committee: www.ngo-unesco.net/fr/pdf/forum_paix/Synthese and www.facebook.com/ngounesco for the photos. Echoing this Forum, the IAA Secretariat and the Unesco Children Club organized a 'Sentinals of Peace' special day for the children of the Unesco staff with the collaboration of three French artists: Alain Mila, President of the Association 'Les Sentinelles de la Paix', working at international level, Gilles Charrot, artist who was selected for 'Nuit Blanche 2016' (White Night), and Asilva, a member of the French Committee who curated the exhibition 'Children of the world draw for Peace'. As well as the clarinetist and actor Camille Artichaut who accompanied the building of the Sentinals. Echoing the Querétaro Forum on Peace 'From promoting to building Peace with NGOs', hold in Querétaro, Mexico, on 3rd and 4th November, 2016, an event was proposed by IAA to the Unesco Children Club in order to raise, once again, children from 3 to 13 years old. 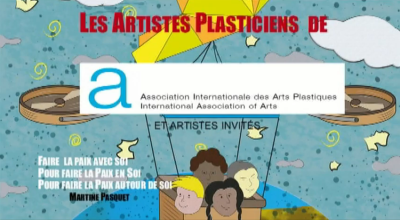 This event was animated by Alain Mila, a sculptor, President of the Association 'Sentinelles de la Paix', Association approved by the French Minister of Culture, Gilles Charrot, artist selected to participate to 'Nuit Blanche 2016', and Asilva, a CNFAP member who curated the exhibition 'Children of the world draw for Peace'. The clarinetist and actor Camille Artichaut gave ryhtm to the building of the Sentinels by his talented improvisations while the artists and the children were working to put stones in balance. As a symbol of the fragility of human values. Thanks to the Delegation of Indonesia to Unesco and to the International Council of Dance (CID), the teenagers of the 'Garuda Cendekia Middle School Jakarta' presented a part of their world running performance. His Excellency Mr H. PANDJAITAN, Extraordinary and Plenipotentiary Ambassadeur of the Republic of Indonesia honored this event. Les Sentinelles de la Paix from Imge Turudu on Vimeo. 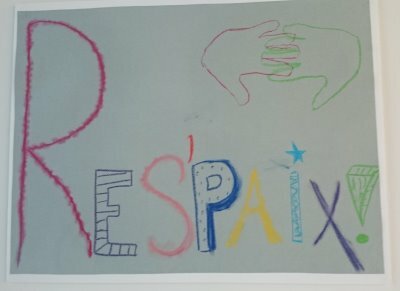 The children of the schools of Solliès Ville, (Var, South of France) were invited to reflect on what is, for each of them, the idea of Peace. 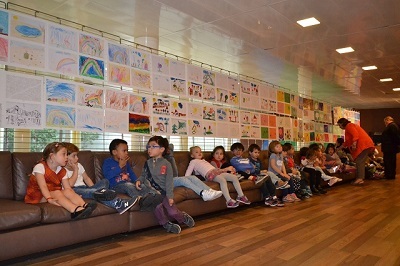 All the obtained définitions were hung to balloons that were released at the opening by the Mayor, on May 6th 2016, of the exhibition 'Children of the World draw for Peace'. An article [PDF] published in Var Matin speaks of this 'exceptional exhibition'. 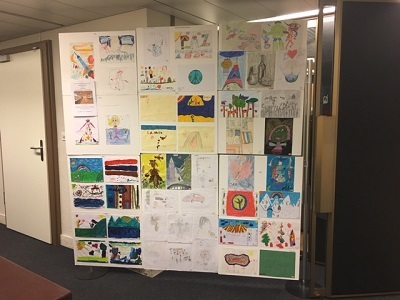 In December 2015, the French National Committee organized a second travalling exhibition, France-Morocco, including children's drawings from those two countries. The children thought and worked about the idea of Peace: 'Together for Art, Together for Peace: the children undertake'. This running exhibition was shown at the Decauville House, in Voisins-le-Bretonneux (near Paris), on December 2015, 16th et 17th. Fatema Binet-Ouakka, a CNFAP member, in charge of international relationships, made the Fes Region and Paris Region work about the theme; 'Art and Peace'. 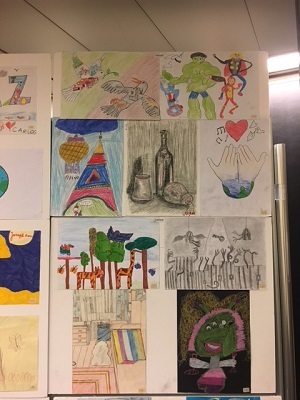 The artist ASILVA, a member of he CNFAP, the IAA French National Committee, organized at the Unesco Children Club, and with its participation, an exhibition of 600 children drawings coming from 16 countries of the five regions. This travelling exhibition was presented with a dance performance created for the 45 children who attended the show. Mr André Hervio, the CNFAP President, gave to each participative child to the exhibition a certificate including the drawing of the 'Colombe de la Paix' which was drawn by one of them. 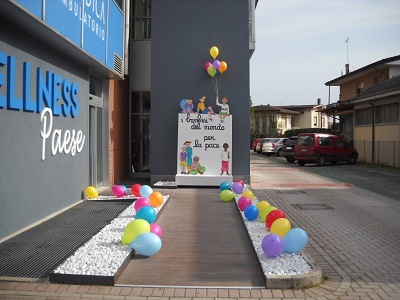 Find more pictures on large format through this link (UNESCO Children Club), this link (Townhall Paris 5th District) and this link (Sesto Fiorentino and Paese, Italy). French artists will participate in the 2015 'Fes-project' about Peace. English translation will be available later this year.